Is Your Softball Bat Really Broken? 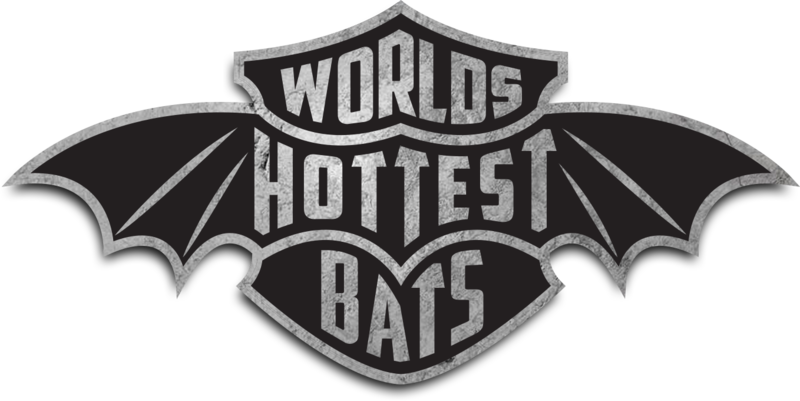 Around 2010-2011, bat manufacturers began using a new process that would allow their bats to break in much more quickly. As you can imagine, bats breaking in quickly often comes with a price in the form of durability. Many bats now get “stress cracks” which develop on the outside shell of the bat. This has confused a lot of our customers into believing their bat is cracked and useless. However, this is not usually the case. These surface cracks can get extremely severe before the bat actually breaks. In fact, we had an original Salvo where entire chunks of the outer shell were falling off, but the bat was still hitting 400 foot bombs. And it’s not limited to just Eastons, either. Miken and Worth bats have been known to do the same thing. The first picture below is an Easton SSR4 Stealth. From first glance, most players would assume this bat is completely gone. Wouldn’t you? You would be surprised to learn that this bat is not only still hitting, but is incredibly hot. There are no pieces of composite rattling around inside the bat, which is usually a sign that a bat’s durability is deteriorating. The second picture is a 2012 ASA Easton Salvo. A customer returned this bat to us, insisting it was broken and “finished” because it had a 1 inch surface crack. We decided to make it our BP bat, and not only has it lasted through about 500 hits since being returned to us, but has been putting balls well over the fence. The su6c6arface cracks have spread since beginning to use it in BP, as you can see.